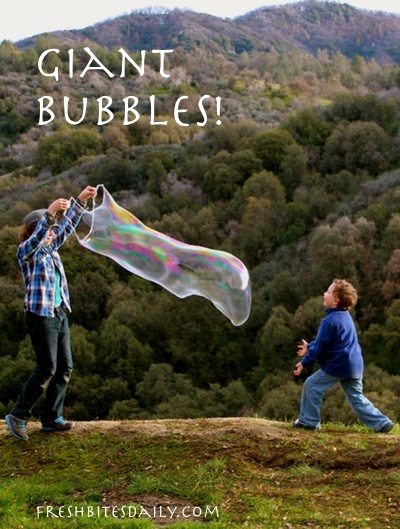 File this in the category of “a whole lot of fun.” Set it up for your children and then find yourself unable to resist making the bubbles yourself. You just can’t help it. Frederick provides detailed wisdom in the video. The glycerine is the ingredient you’re going to want to make sure to grab. It really is the key ingredient (and one that most people don’t keep stock in their home). We grabbed ours from our Amazon partner (here). Why is it that Dawn dish soap works so well in these science-type projects? I have no idea but I keep a small bottle stock now just for projects. I’ve never actually used it as a soap.